Available to Vajrayogini practioners who attended Mingyur Rinpoche's program in Halifax, July 2007. "Bodhichitta is method and nature of mind is wisdom, like the two wings of a bird that flies to enlightenment." In four talks given in Halifax, July 2007, the Venerable Yongey Mingyur Rinpoche presents the pith of the Kagyu mahamudra path of practicing compassion and wisdom. Talk one includes teachings on loving kindness, compassion, and bodhichitta. 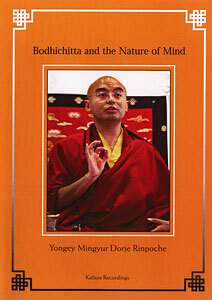 In three subsequent talks, Rinpoche focuses on an exploration of the nature of mind. The seminar begins with a description ordinary loving kindness, then immeasurable loving kindness and compassion, then bodhichitta. 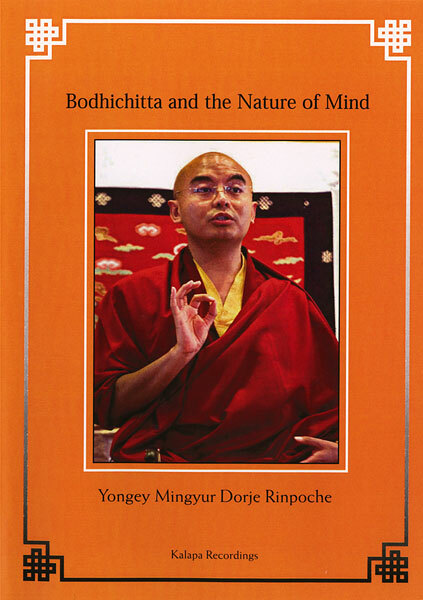 In the three subsequent talks, the Venerable Mingyur Rinpoche teaches on the experience of the nature of mind, which can be pointed out by using analysis or by direct experience. Mingyur Rinpoche transmits the heart essence of the mahamudra tradition by way of direct experience. Restricted to Vajrayogini practitioners. Four talks on four DVDs, includes study guide.